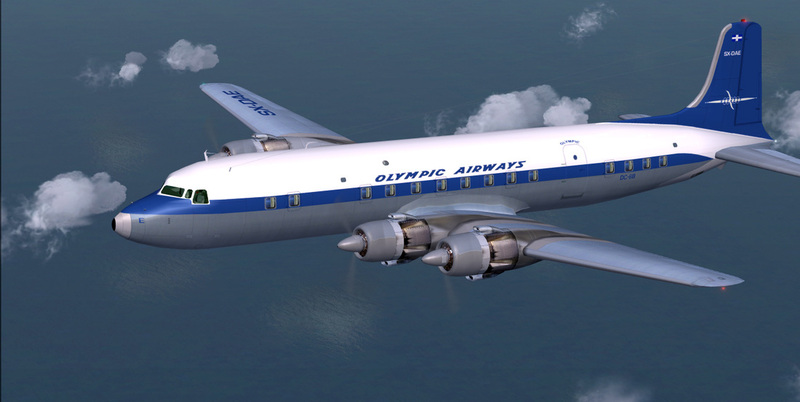 ﻿DC6B Olympic Airways delivery livery circa 1958-1959. 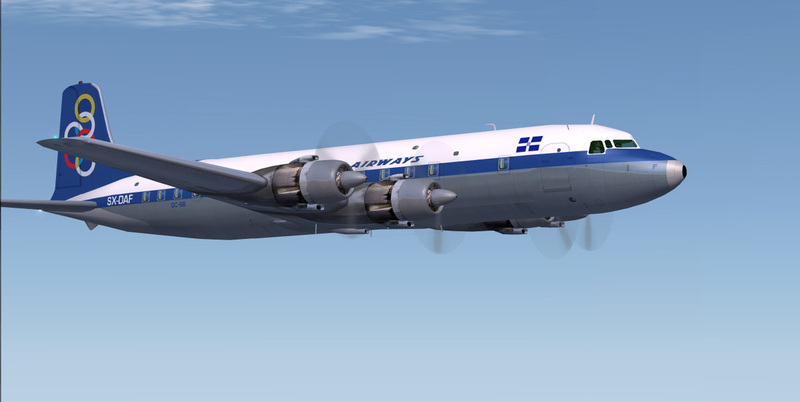 CN#45540/1016 was built for Olympic Airways in 1958 in this delivery livery. 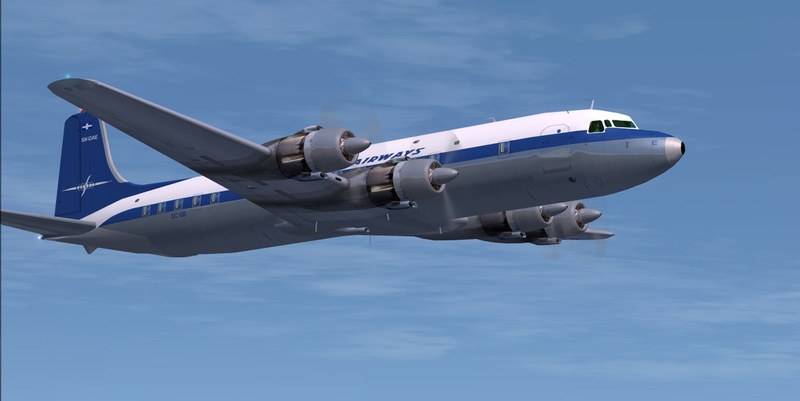 In late 1959, the livery was changed to the 6 ring tail fin logo which became the symbol of the airline. 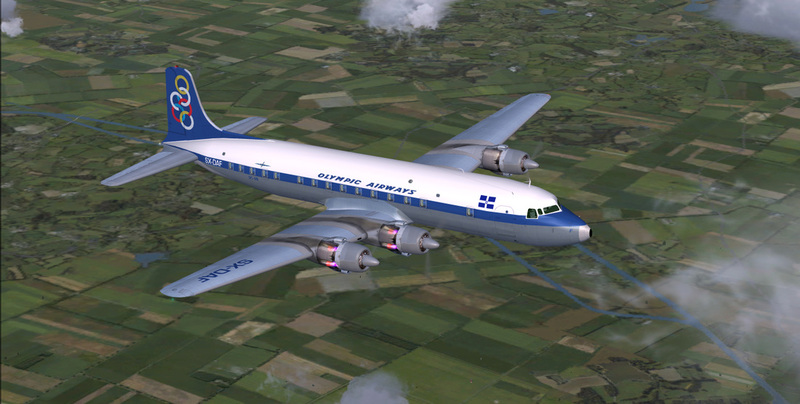 Sadly, on December 8 1969, SX-DAE operating as flight 954 crashed into a mountain near Keratea Greece. 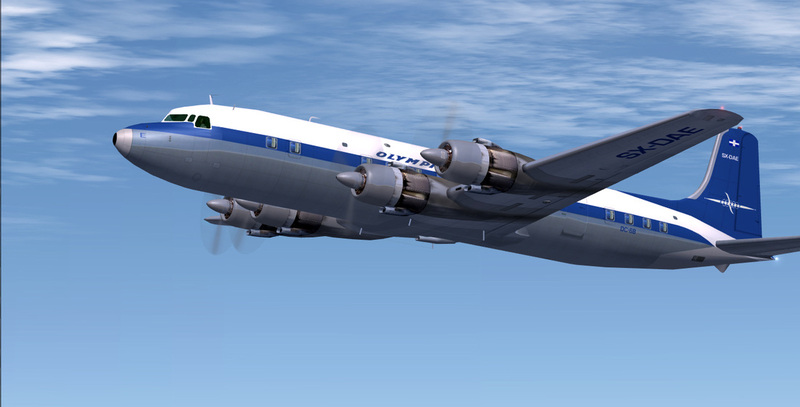 All 85 passengers and 5 crew died in the crash. The flight was a domestic scheduled passenger service from Chania on the island of Crete to Athens-Ellinikon International Airport. 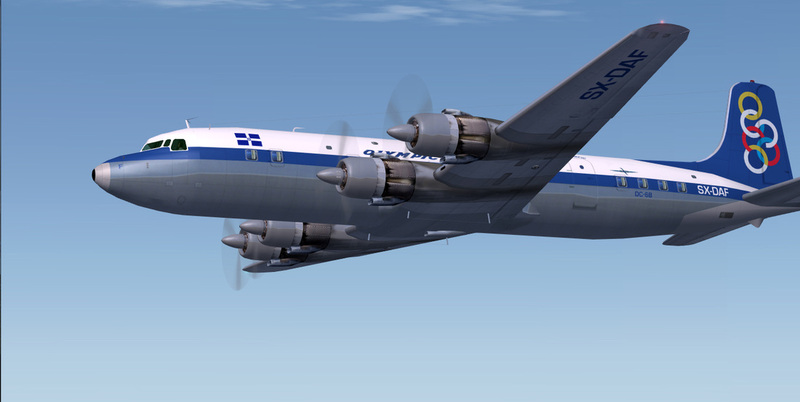 While on approach to Athens and with its undercarriage retracted, the aircraft struck Mt. Paneio at an altitude of approximately 2000 feet. The weather at the time of the crash consisted of rain and high winds.